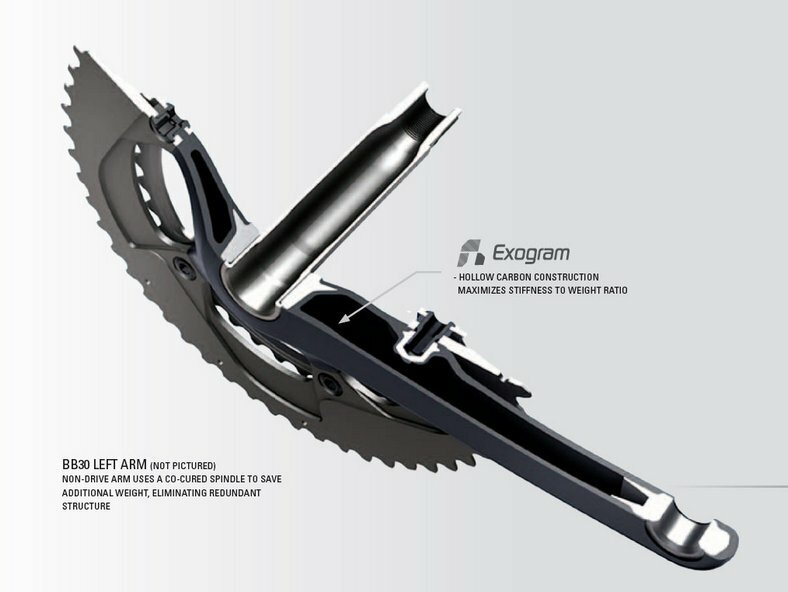 Hack Racer: Latest news: 2012 Sram Red details released! 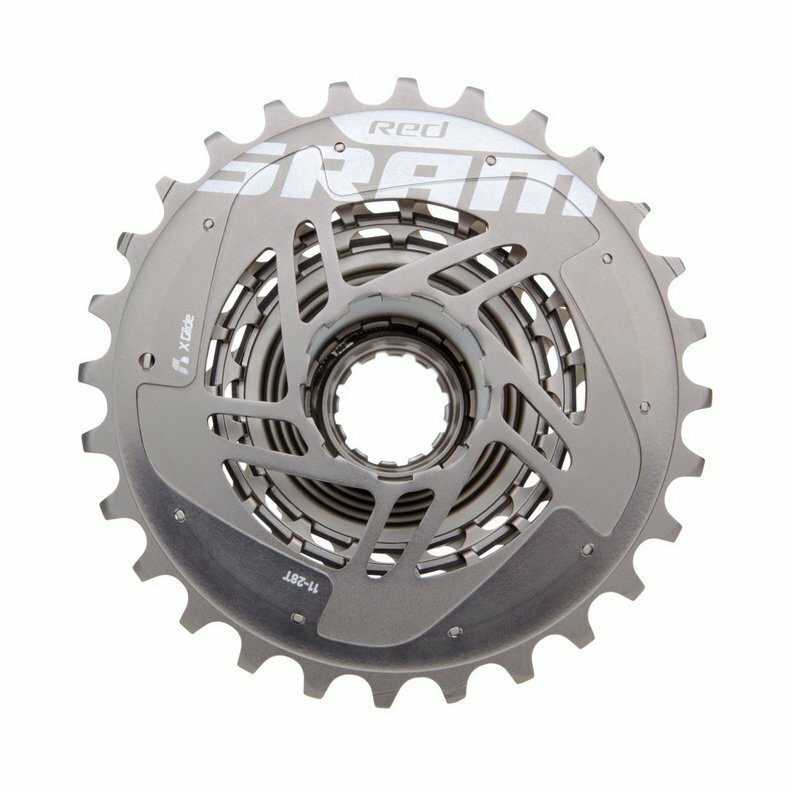 Sram will be releasing their newly revised Red group set in March of 2012. 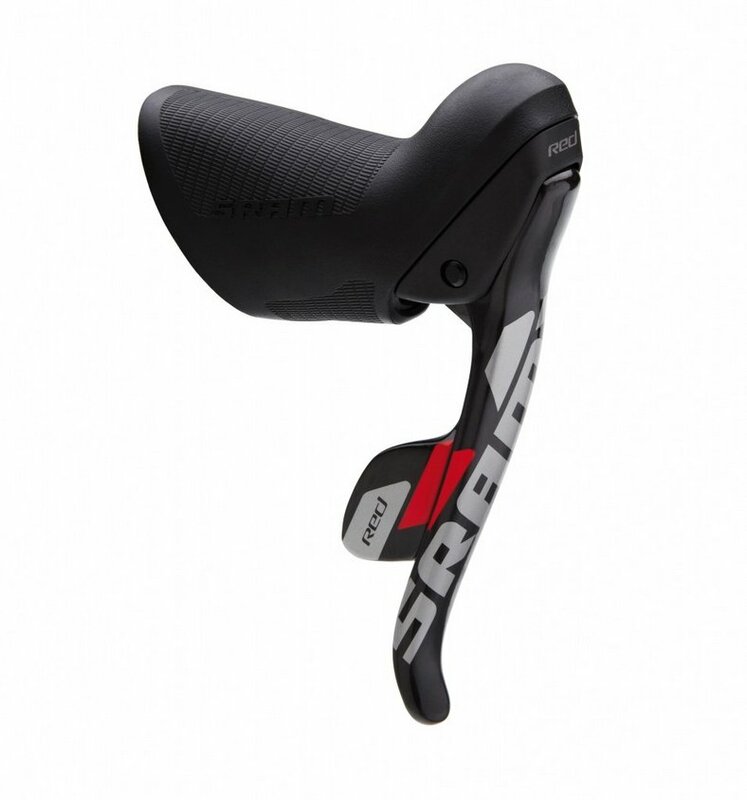 Claimed weight for the entire groupset (drivetrain (GXP), brakes, shifters... everything) is targeted at 1791g. 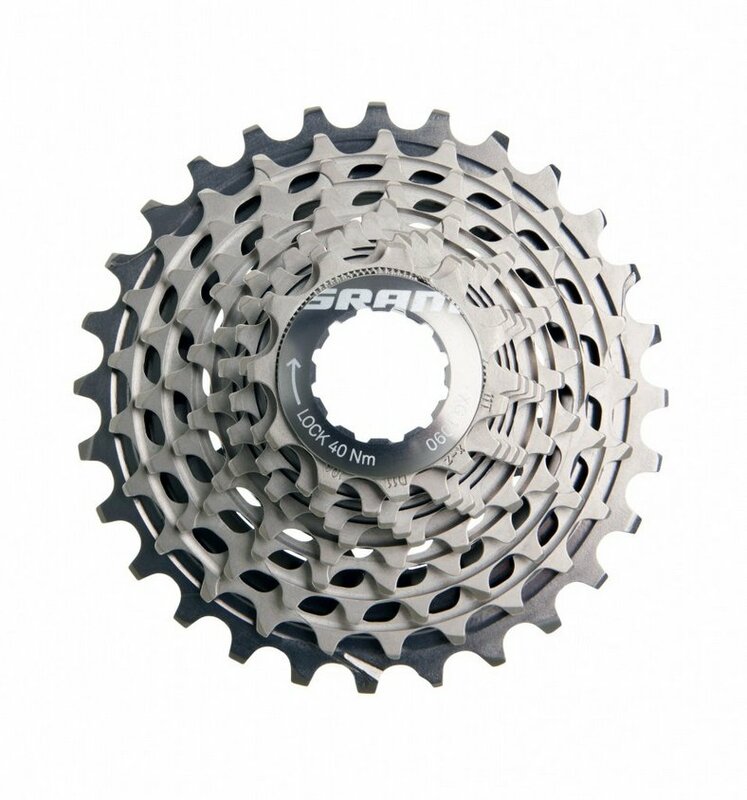 Sram being a supporter of BB30 will have 4 versions of their cranksets available. 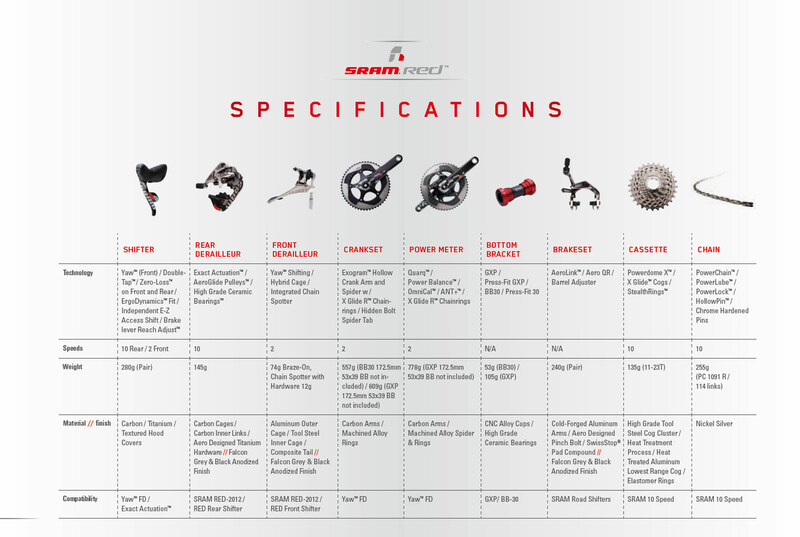 BB30, standard BSA, BSA + Quarq power meter and BB30 + Quarq. 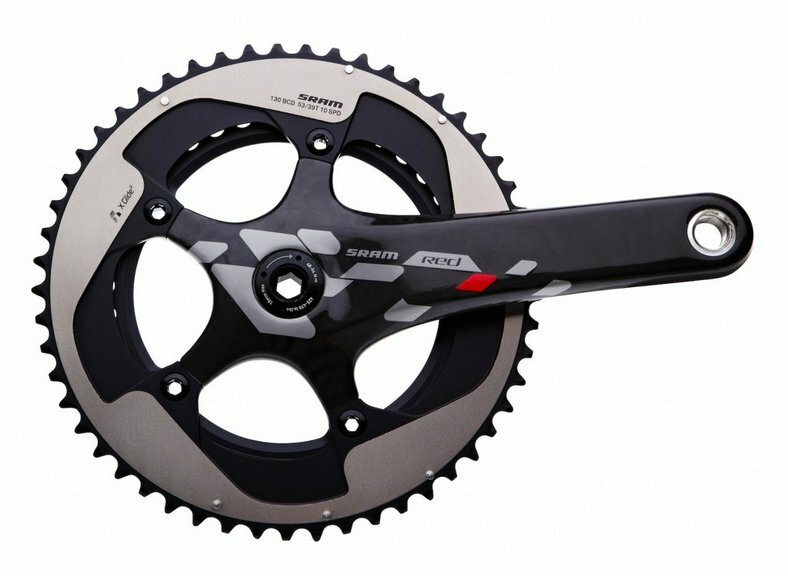 Total MSRP is 2227 € or $2935 USD (for non power meter versions). Which means if you live in Canada it will be $5000 CDN (for non power meter versions). 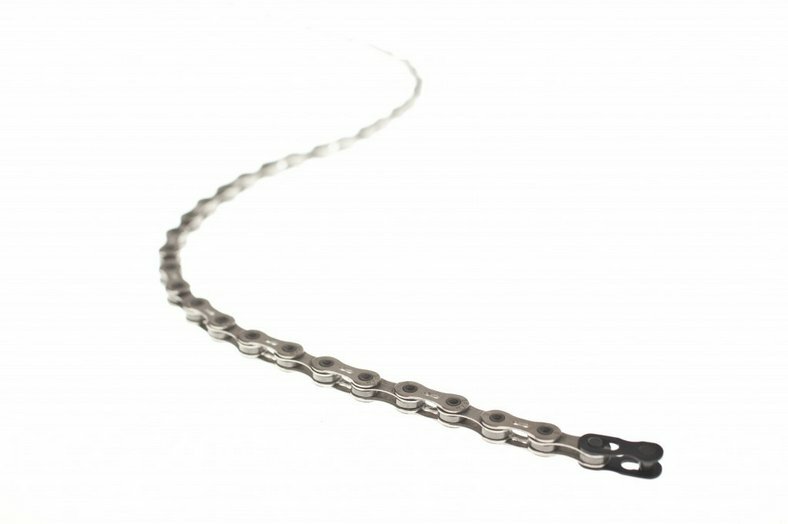 • Yaw ™ Our revolutionary technology enables a trim-free switching. 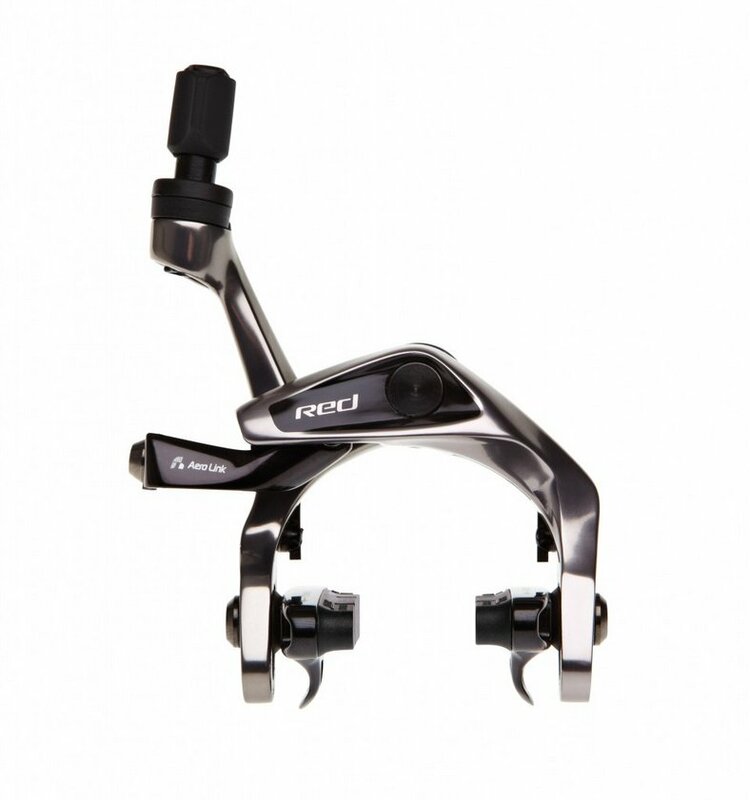 • HollowPin ™ technology combines traction, incredible switching efficiency and light weight. 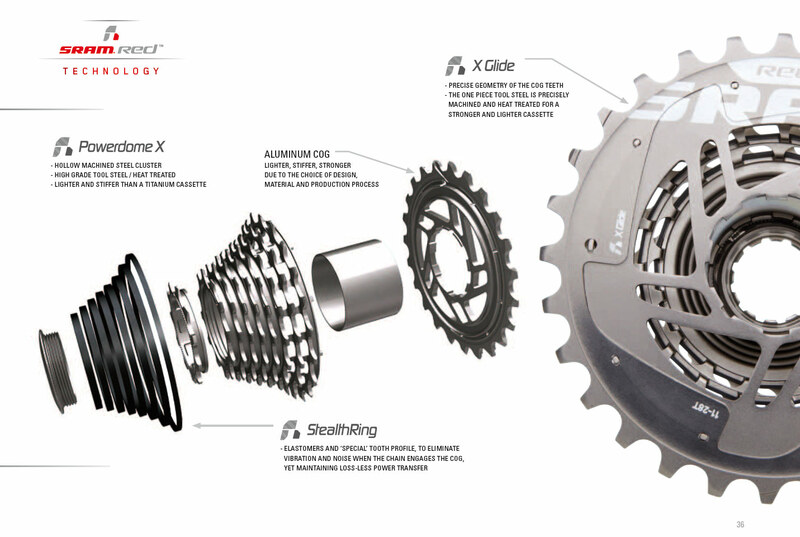 The bottom brackets are equipped with ceramic bearings. 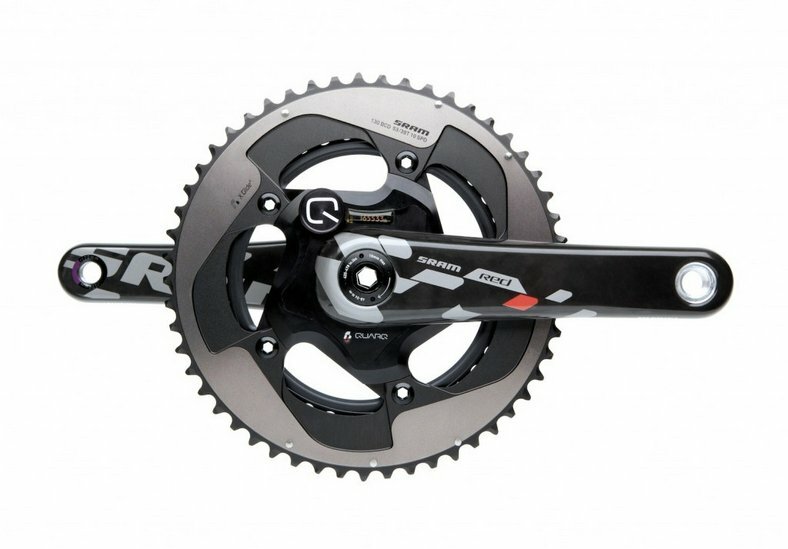 Specifically, this means the GXP version priced at (105 grams) 197 € and the BB30 bearings with 53 grams at 211 €. 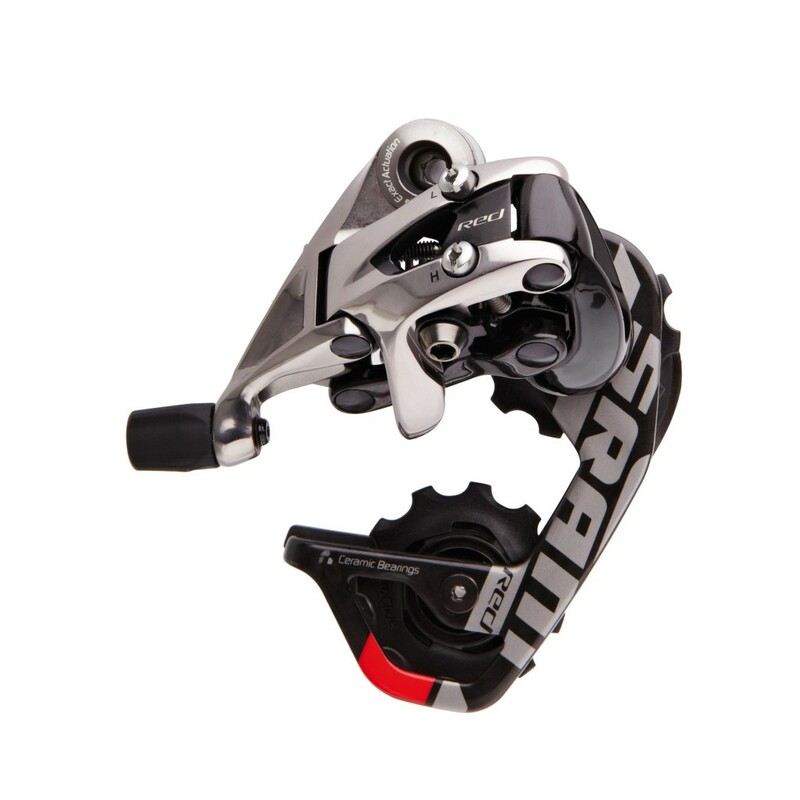 It's been rumored that SRAM RED level is developing hydraulic brakes. 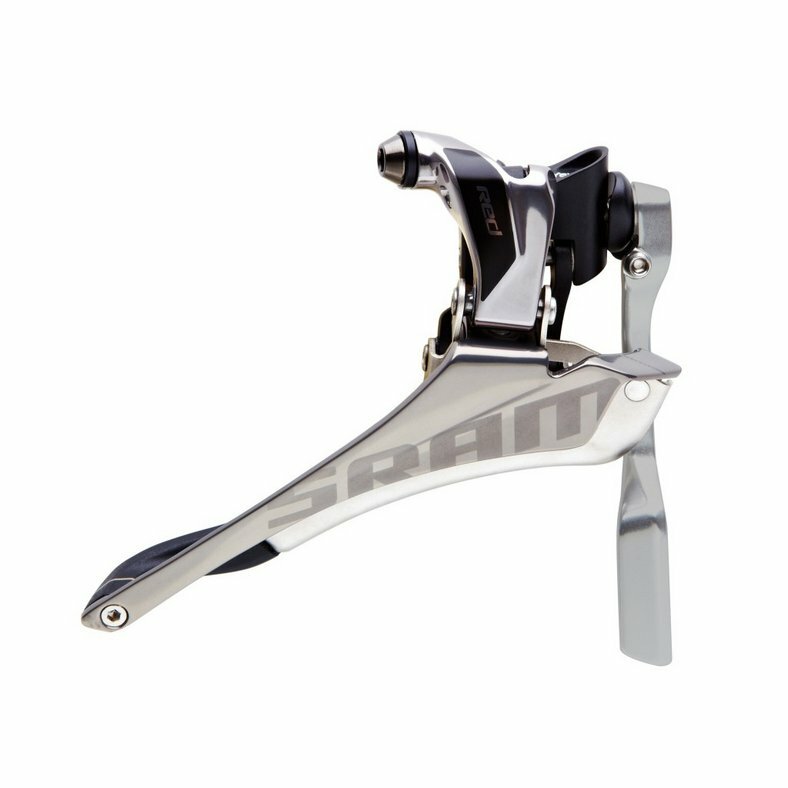 We want to confirm this and let you know that we are currently working on a hydraulic disc brake and a hydraulic rim brake. Information on pricing will come at a later date and no photos are currently available.